“Linear infrastructure, roads and railway construction, unlike natural development, impact the basic ecosystems that we depend on: we need to find solutions for development, but in a way that does not undermine them. This is especially important in the age of climate change, where ecological networks are important to the resilience of habitat systems. In the Carpathian Region, we are facing considerable biodiversity loss and habitat fragmentation by cutting existing habitats into smaller and smaller pieces,” declared Mr Andreas Beckman, Managing Director of WWF-DCPO and host of the event. The ConnectGREEN Project was launched on November 20, 2018 in Bucharest, Romania at an event organised by WWF Romania. Around 80 key stakeholders from the Danube-Carpathian Region, including public sector representatives and project partners, came together to discuss different topics related to the main project objective: restoring and managing ecological corridors in the Carpathian Mountains while minimising the conflicts between infrastructure/regional development and nature conservation. Project partners come from the Czech Republic, Slovakia, Hungary, Romania and Serbia. The commencement of the project was warmly greeted by Mr Harald Egerer, Head of the Secretariat of the Carpathian Convention. “Both the TRANSGREEN and ConnectGREEN Projects are embedded in one overall vision: the Carpathians as the ‘Green Heart of Europe.’ This deserves to be preserved. (...) ConnectGREEN will build upon past projects, and support some of the essential aspects of the work performed under the Carpathian Convention. Such activities will include an international database, and our work on the conservation and management of large carnivores under the Carpathian Convention.” According to Mr Egerer, the Carpathian Convention will officially endorse some outputs of the project — such as the ‘Carpathian-Wide Strategy on Ecological Corridors.’ The endorsement will certainly assist in making the project results more sustainable and long-lasting. Engaging key stakeholders such as protected area managers, conservationists and spatial planners in an integrated approach which will strengthen our capacity to identify and manage ecological corridors. Mr Mircea Vergheleț, Director of the Piatra Craiului National Park, recognises the role of protected areas and the importance of ecological connectivity, as well as the challenges associated with identifying and securing movement corridors for wildlife. Moreover, he appreciates the project’s integrated approach to harmonise conservation and spatial planning, as well as the importance of the Carpathian Network of Protected Areas in this respect. Mr Rastislav Stanik, representative of the Slovak Environment Agency (SEA), apprehends the big question of how we can use spatial planning as a tool to preserve ecological corridors. Mr Lazaros Georgiadis, biologist and Steering Group Member at Infra Eco Network Europe (IENE) highlights an example of successful mitigation measures as applied to the Egnatia Highway in Greece. Solutions included classical tunnels and viaducts over the valleys, and more modern solutions such as fauna underpasses, ecoducts, landscape bridges and strong fences. According to him, if the appropriate measures were included during the initial phase, the delays would have been avoided, and the economic benefits would have appeared much sooner. Project partners have shared their valuable experiences preserving ecological connectivity in the Alps, Danube River Basin and Dinarides Mountains. 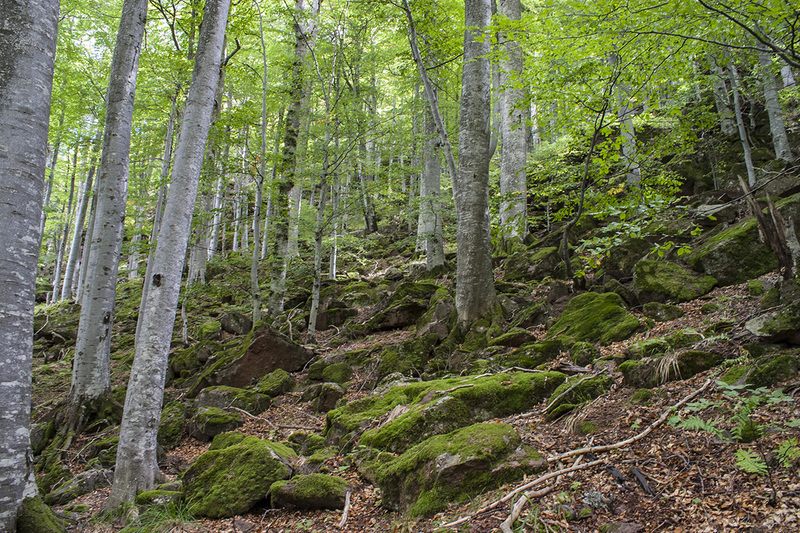 Consequently, a set of best practices and recommendations have been delivered by the Alpine Network of Protected Areas (ALPARC), Danube Park and Dinarides Park that will be taken into account by ConnectGREEN when creating the new Carpathian-wide methodology. 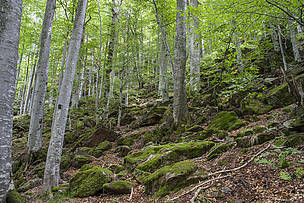 ConnectGREEN is being implemented in 4 transnational relevant pilot sites: Piatra Craiului National Park/Bucegi Nature Park (Romania), Apuseni-SW Carpathians (Romania)/ Djerdap National Park (Serbia); Western Carpathians (Czech Republic - Slovakia); and Bükk National Park (Hungary)/ Cerová vrchovina Protected Landscape Area (Slovakia). “We have a great potential on board! For me, it was a very good start for our cooperation. I love people and networks gathered around tasks that will hopefully bring some improvement to the environment,” concluded Ms Hildegard Meyer, from the WWF International Danube-Carpathian Programme. Together, these specialists from different backgrounds and different fields created a realistic context which will take another significant step towards preserving and protecting the Green Heart of Europe. For further information, please view the photo gallery (photos at the event) and the knowledge library (speaker presentations).